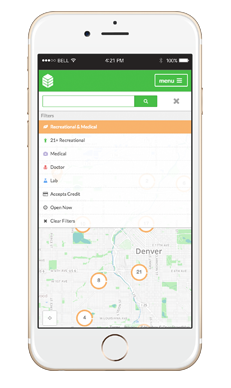 Cannabase Maps is Colorado’s most accurate dispensary finder with 7 dynamic filters, easy to use controls and built-in driving directions. Best of all, there are no downloads or set up required. Anytime, anywhere you can visit Cannabase Maps (cannabase.io/maps) and start exploring. 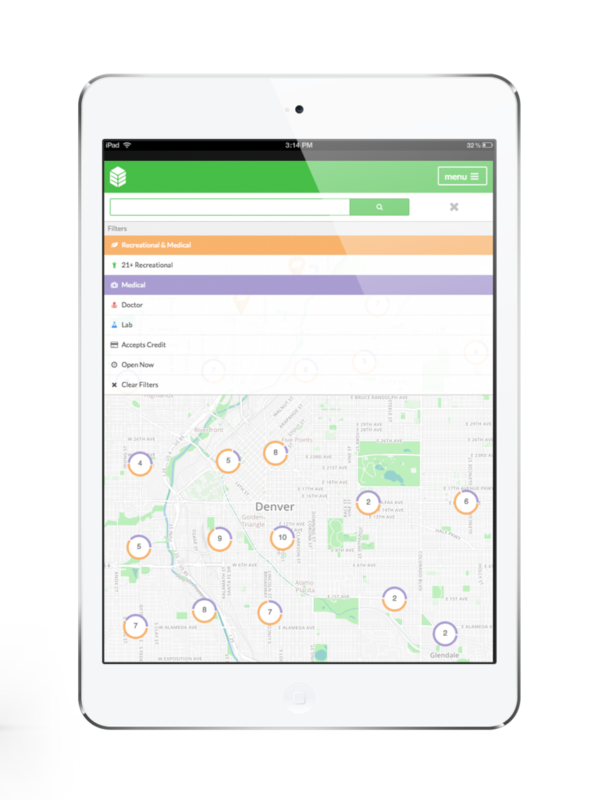 When you open Cannabase Maps, you'll notice the homescreen being covered in colorful circles. The numbers inside these circles represent the number of storefronts (dispensaries) in that area, and the distribution of dispensary types are visualized (like a pie chart) in the colors making up the circle. As you zoom in, the clusters will break into individual storefronts. Tap the icon on the right to open up the filter drawer. From here, you can click what you'd like to find and the clusters will remove anything not checked. You can select more than one filter at once to refine your search. Simply click the X in the corner to close the drawer - your filter selections will be locked on the screen until you open the filter drawer and clear them. As you zoom in to individual map points, you can click them to see more information - like their rating, hours of operation, and their address. From here you can get driving directions, call the store, or visit the Cannabase storefront to look at reviews, see pictures, grab any available deals, see who else has visited before, and more. 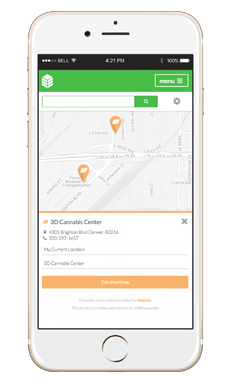 Cannabase Maps is the only directory finder with built in driving directions! 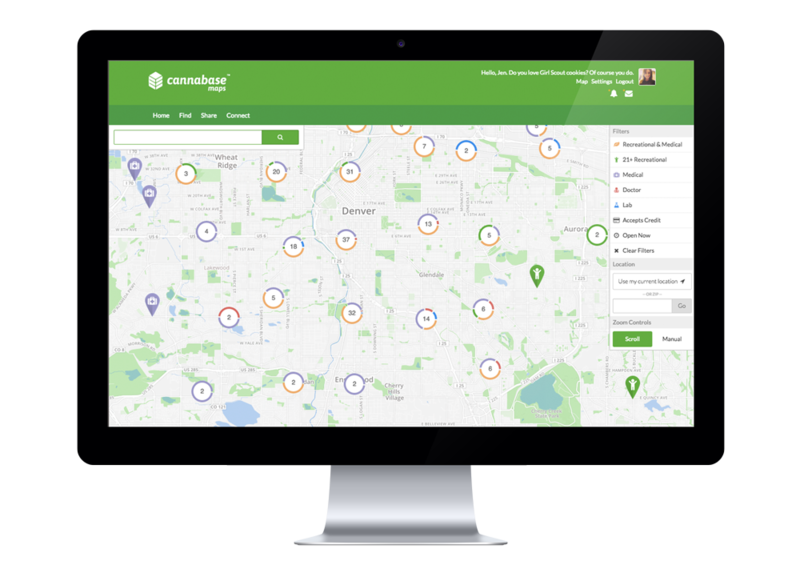 Once you've settled on a dispensary to visit, simply click the button and - from wherever you are - Cannabase Maps will provide step-by-step driving directions to your destination. Don't forget to leave a review after you shop - we want your feedback! We spend a lot of long nights with Excel making sure our data is the most accurate in the industry, which sounds boring - until you can pull up Cannabase Maps and never worry about visiting a dead dispensary again. Cannabase Maps is the first dispensary with built-in driving directions, clear useful filters, clustered easy to understand color coded map points and zoom controls. Utilizing the same framework that built Foursquare and Pinterest, we're proud to be the first to bring this stunning technology into the cannabis space. Dispensaries can’t buy oversized icons or pay for premium map placement - the map is there to help you find the best fit for you. Dispensaries can optimize their storefront's appearance, but they can't skew the search experience. No downloads, logins, plugins, or hoops to jump! Since Cannabase is a browser-based responsive app, it's accessible anytime, anywhere, via a PC, smartphone, or tablet with an Internet connection - putting you completely in charge. Help your fellow Cannabasers out and save 'em from a bad experience (or show them the good!). Join today and share your shopping experiences with the cannabis community - we want to hear what you have to say! Favorite the storefronts you love the most and we’ll make sure you never miss their deals, daily specials, status updates, or giveaways. Favoriting stores shares them with your friends, and shares with newbies the best places to start. Tagging storefronts when you're smoking a strain from their shop is a great way to let friends and dispensaries know what you’re smoking, how it makes you feel, and discover who else is in your virtual smoke circle. Not sure if the spot down the street has an ATM, or when they close? 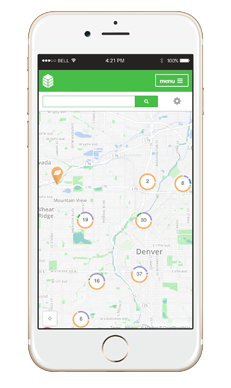 Cannabase storefronts have all the up-to-date information you need (like driving directions, hours of operation, reviews, and more)!